For information on Corporate Matching Funds, including a list of Booster Group Tax ID numbers, download the file at the bottom of this page. Introducing...the SRV Wolf Technology Fund! We are excited to announce the rebranding of our "21st Century Learning Foundation" booster group. We have a future-ready mission and a new name that more clearly represents our role in supporting SRVHS students and staff! 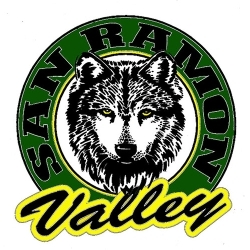 The SRV Wolf Technology Fund is a booster group dedicated to fulfilling the technology needs of SRVHS in order to enhance the learning environment for students and staff. A primary focus has been on providing a 1:to:1 campus where each student has a device that provides access to new opportunities for personalized instruction, engaged learning and increased collaboration. Thank you again for your donations at registration. Please visit our website for more information. Go Wolves! Go SRV Wolf Technology Fund! Academic Boosters is a non-profit 501(c)3 parent-run organization dedicated to raising funds to support quality programs that enhance the educational experience for all students at SRVHS. Help build SRVHS school spirit and help build stronger athletic teams by becoming a member of the SRVHS Athletic Booster Club.The Athletic Booster's support helps pay for equipment, facilities, and expenses associated with SRVHS Athletics. The PTSA at SRVHS has been supporting the school for over 60 years by providing volunteer services and funding for programs and projects that support student learning at all grade levels. The SRVHS Theatre Boosters mission is to provide organizational fundraising and general support resources for both the students and faculty members in the San Ramon Valley High School Theatre Arts programs. San Ramon Voices is the non-profit booster group supporting the SRVHS vocal music program. They are active raising funds and supplying support for the program. Wolftones is the music booster group for SRVHS, supporting the long and illustrious history of instrumental music we are so fortunate to have at this school! SRVHS Dance Boosters is a public association dedicated to providing support to enhance the quality of the dance program, including performances, competitions, educational opportunities, field trips, and community service.